The Arcadian was originally built as the Wells Fargo Bank. 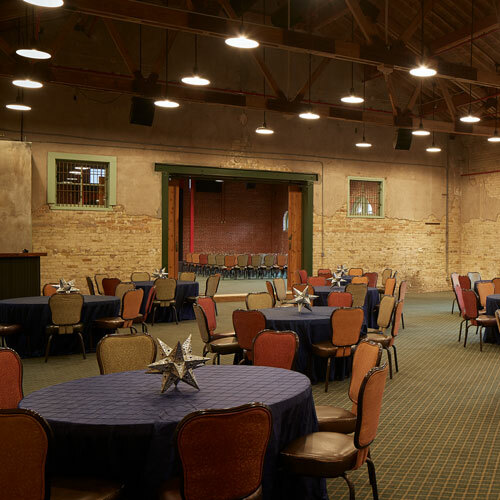 Today, it offers an industrial setting created by its exposed-wood ceiling trusses, and concrete and brick walls. Wooden sliding doors split the structure into North and South sectors, making it ideal for multi-function events like reception/dinners or meeting/meal functions.